to Understanding Traditional Witchcraft Beliefs, Concepts, Customs, Rituals, and Spellcraft. Note:This is the traditional "Old Craft". We are NOT related to Wicca. A 180-page illustrated reference on Medicinal Plants and traditional home remedies. Traditional Witchcraft is an online resource by Blue Moon Manor for those interested in learning more about the Traditional Craft. It is designed as an introduction for seekers and for those curious about this Traditionalist path, with its worldview core in universal spirituality and Traditional magic. This is not Wicca. The practice of Traditionalism draws upon a tremendous heritage from those that preceded us along this Old Crooked Path. It forms the basis of the profoundly inward journey we travel today, for this is a path of self-discovery, self-improvement, and self-healing through the Old Ways. This website is not for your entertainment, but for your knowledge and awareness. With that understanding, you are invited to look around and read about our Blue Moon Manor Trad™. I am Adrian Eglinton, and the information I provide is my understanding of the Traditional Craft. Glossary of Witchcraft Terms - Learn the common terms used in the Traditional Craft. Full Moon Dates - Year charts with the Full Moon dates, days of the week, and GMT times. Solstices & Equinoxes Dates - Year charts with the dates, days of the week, and GMT times. Site Map - A great way to locate articles and pages you would like to see. So how do I start to study Traditional Witchcraft? What Is Traditional Witchcraft? - An eight-part series of brief introductory talks on aspects of The Craft. Thinking of Becoming a Seeker? - A discussion about living The Magical Life with some more FAQ's about the path of a "Seeker" in The Craft. Approaching the Doorway to Trad Witchcraft - Now that you understand some important basic information about the Craft, and you know you wish to try it out. What should you do now? How do I learn Traditional Magic? Spells should be said only by those who are fully prepared and truly ready. Just saying the words means nothing! 2) Journey to Trad Witchcraft™ - an eBook Course (about 155 pages) on the fundamentals of Traditional Witchcraft. This is an orientation to Blue Moon Manor Trad, our beliefs, our view of spirituality, practices, and customs. 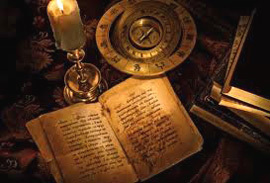 I will teach you spellcraft, how to make your own spells; and I will teach you how to prepare for spellworkings, and how spells are actually cast, correctly. Do You Believe in Magic? - A discussion about the nature of magic, and secrecy in the Traditional Craft. Magic and Energy - Understanding the magical nature of energy and its role in spellworkings. 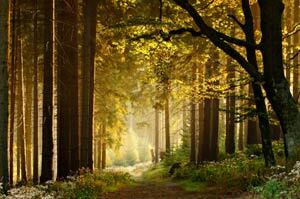 Going Within - Learn why meditation and visualization are important for every seeker to master. Videos on the Traditional Craft by Adrian Eglinton can be seen on YouTube at Blue Moon Manor - The Traditional Craft, and videos on spirituality and Going Within including meditation, astral projection, and crossing the hedge (or shamanic journeying) can be seen at Walking The Spirit Path. Use the Site Map to locate what you need. Your email address will always remain confidential. © COPYRIGHT 2004-2018 Blue-Moon-Manor.com. All Rights Reserved. may not be copied, distributed, or published without prior written permission.